I’m not used to moving slowly. 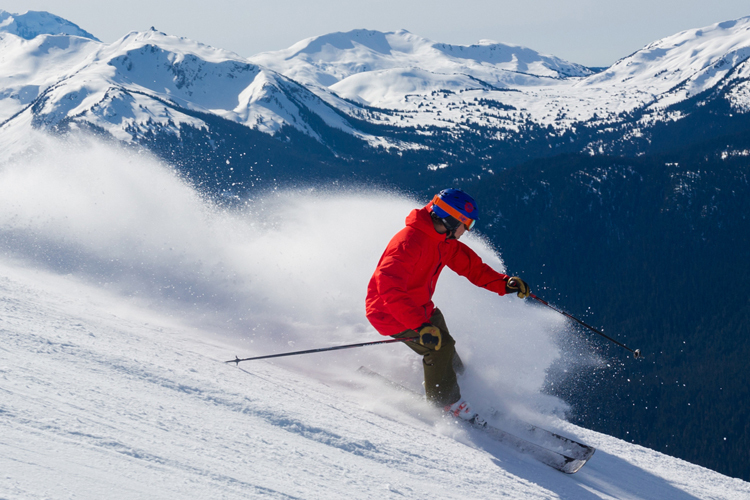 With a focus on gravity-based fun Whistler demands a certain pace and it’s typically breakneck. But there are hidden pockets, nooks, and spots that foster the opposite, places that require you to take a moment, focus, and contemplate. 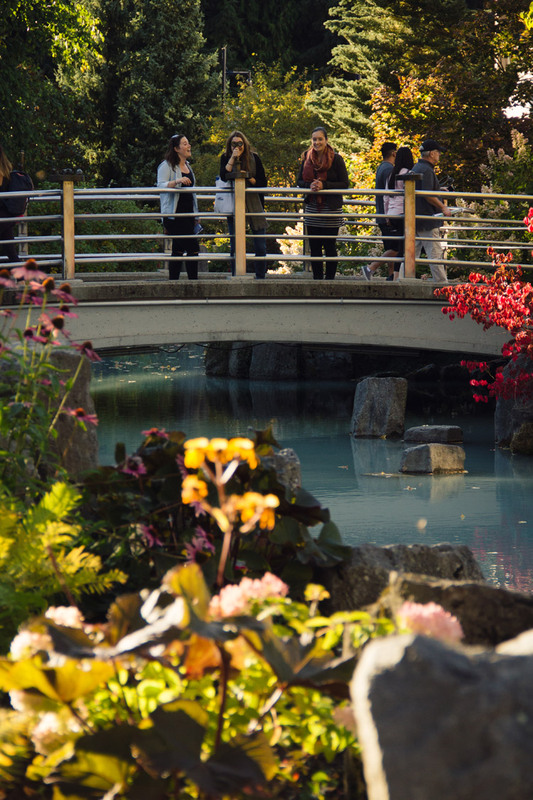 Join me as I slow things down and take a wander along Whistler’s new Cultural Connector. You’re not in the land of Oz, but it is a case of following a yellow road. 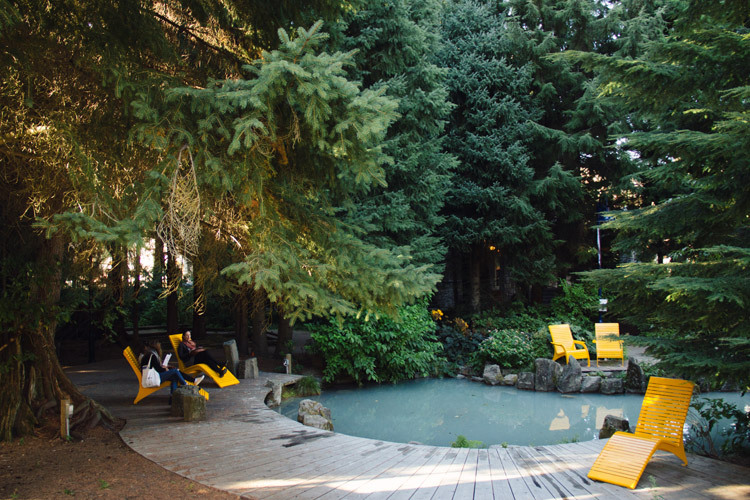 Look out for the diamond shaped, yellow and grey walkways, lamppost flags, and loungers that mark the Cultural Connector pathway as it weaves its way to six of Whistler’s cultural institutions. You can also follow along with Arts Whistler’s Interactive Cultural Connector Interactive Map. 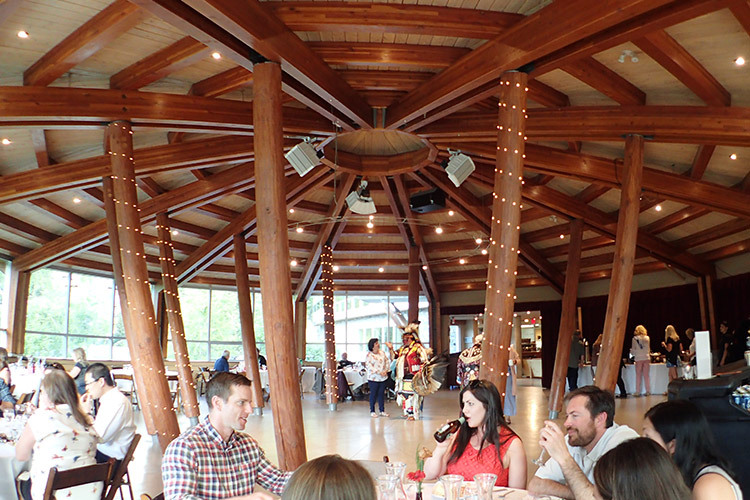 I’m starting at the Squamish Lil’wat Cultural Centre, an impressive glass-fronted building that houses a gallery, museum, gift shop, and café. 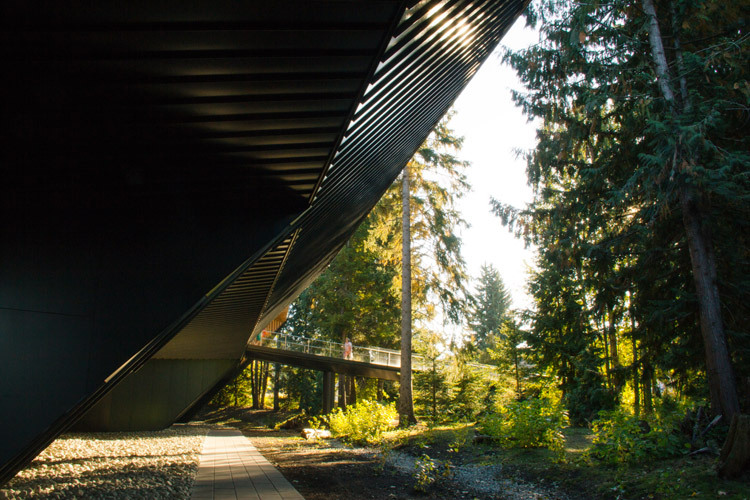 It showcases the history, art, and culture of both the Squamish and Lil’wat First Nations who have coexisted in the Sea to Sky Corridor since time immemorial. It’s a history best heard from one of their ambassadors and guided tours happen hourly. They include a traditional welcome song, short film, and the chance to craft a take-home keepsake. 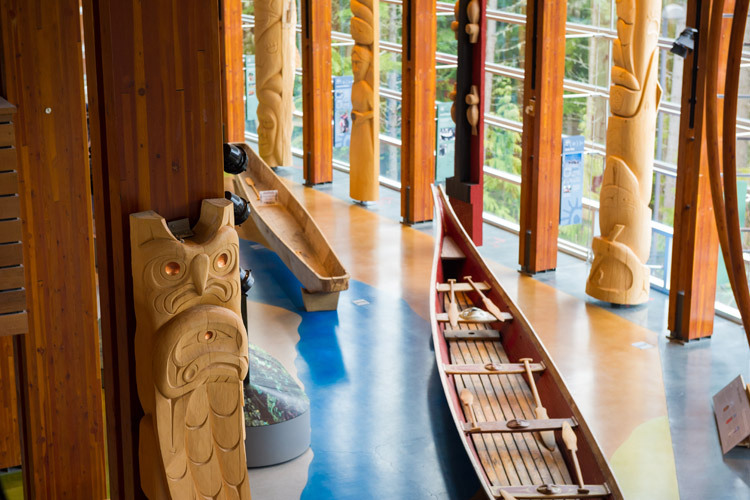 In the centre of the gallery is a 40-foot canoe, carved from a single piece of cedar. You can sit in one of the canoes and imagine what it would have been like to explore the waterways, fishing, hunting, and foraging for plants and herbs. However, you don’t need to catch your own salmon in order to have some for lunch, the café serves delicious food including my favorite, the salmon chowder served with traditional bannock bread. Their shop houses the work of many local First Nation artisans and it’s the perfect place to pick up a unique gift. A favourite wedding gift of mine are the platters made out of recycled materials by Corrine Hunt, who designed the 2010 Olympic and Paralympic Games medals. Our next stop is the PassivHaus, but on my journey there I take the time to notice the chalky blue colour of the Fitzsimmons Creek, created by rock dust that comes from the moving glaciers in the Spearhead Range. 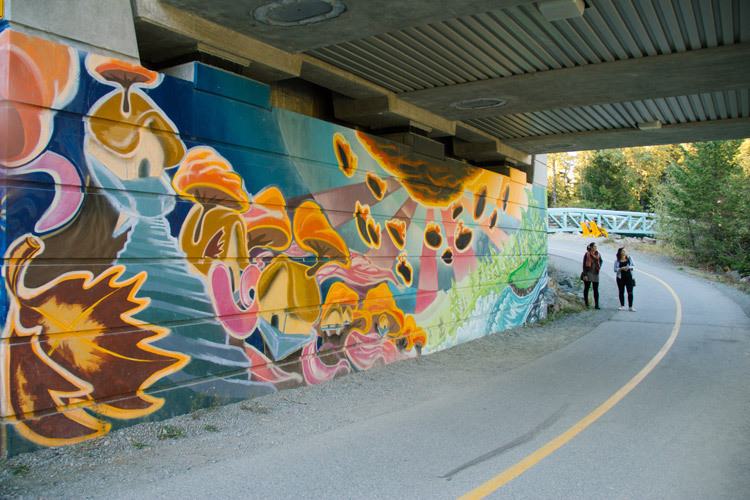 As you pass underneath the road the mural work of local artist Chili Thom brightens even the cloudiest of mountain days. He passed away early in 2017, but the legacy he left behind is one of art-filled wonder for the place he lived and you can’t help but feel that passion when you view his work. 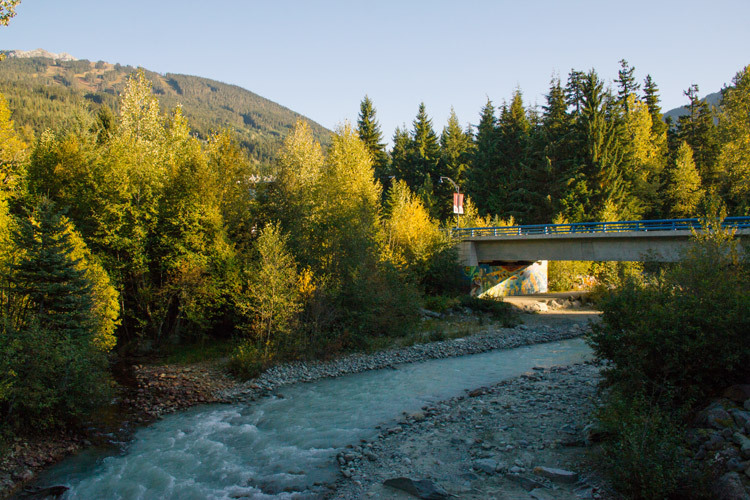 The PassivHaus sits at the entrance to Lost Lake, a parcel of land close to the village that was protected by a few incredible locals back in the 1960’s and means we all have access to incredible biking, hiking, and XC ski trails within steps of the main hub of Whistler. You can find out more about the history of this area inside the PassivHaus on the panels done by the Whistler Museum, but you have to admire the outside first. 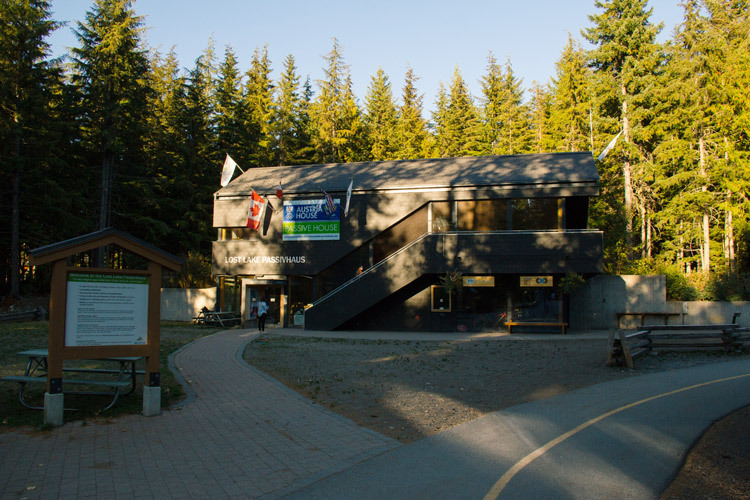 A gift to Whistler after the Vancouver 2010 Olympic and Paralympic Games, it was built by the Austrian Passive House Group, and housed their Olympic committees during the games. It became Canada’s first certified PassivHaus, using 90 per cent less energy than a traditional home due the way innovative way it’s been constructed to keep cool in the summer, and warm in the winter. The next stop is the Audain Art Museum, but on the way I pass the Whistler Skate Park. Recently expanded, it’s the second largest in Canada at 4,600 square metres (50,000 square feet). Local street have added their touch to the park, and it’s definitely worth taking the time to sit down under the shade of the trees and watch the skaters hone their skills with the river raging behind them. Interestingly, this area used to be where the squatters set up camp back in the early days when Whistler Village was actually the garbage dump – more information on that further down the connector. When I went into the Audain for the first time it was as if I’d been transported. The way the architects have built it above the flood plain, the sudden quiet of the lobby, and the large windows that run along one side of the walkway make you feel like you’ve been spirited away into the trees. 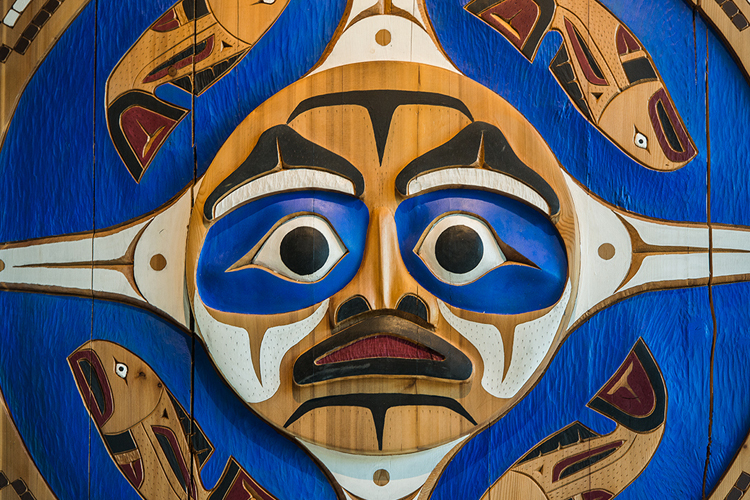 There are seven permanent collections that showcase over 200 works by B.C. artists and a temporary exhibit which changes every couple of months. 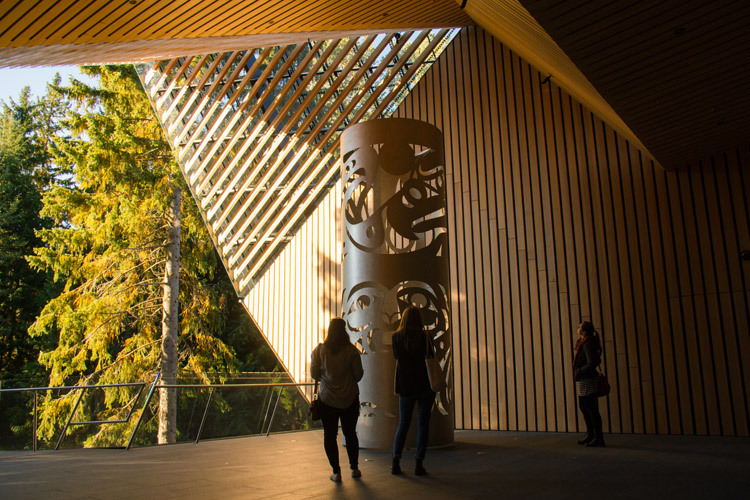 The piece that makes me stop and stare the most is the imposing piece of red cedar named The Dance Screen by Haida Gwaii artist James Hart, which can be found in the first gallery. 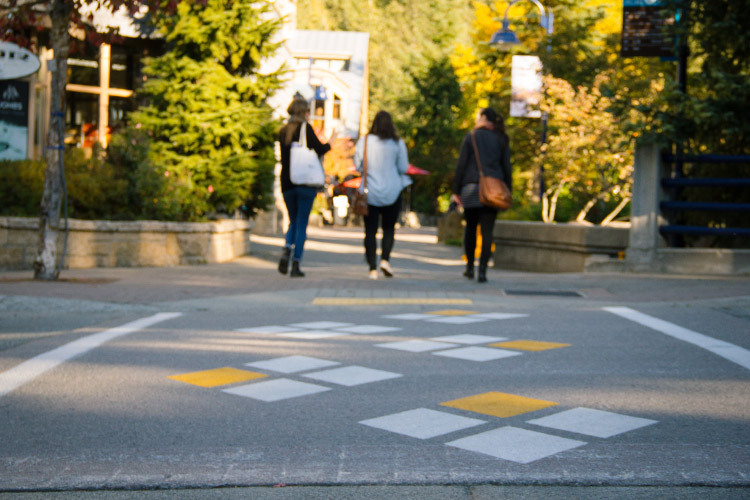 Following that yellow diamond road, I head towards the Maury Young Arts Centre, home of Arts Whistler. 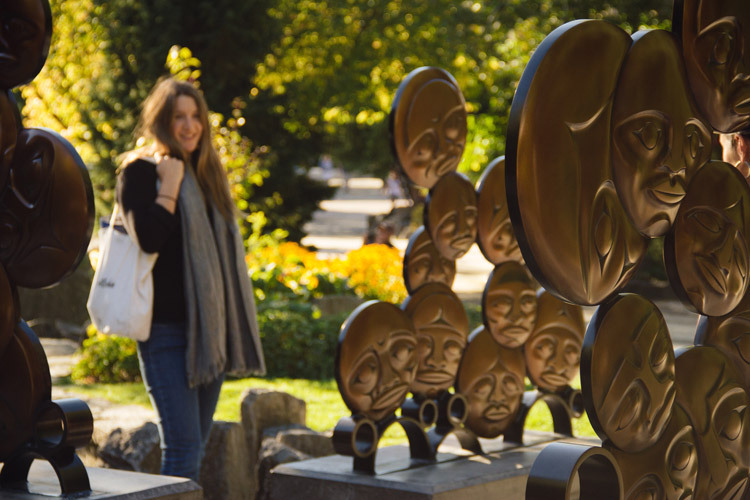 A host of bronze faces (43, to be exact) peer at me as I cross the street, these make up the public art piece A Timeless Circle by First Nations artist Susan Point. 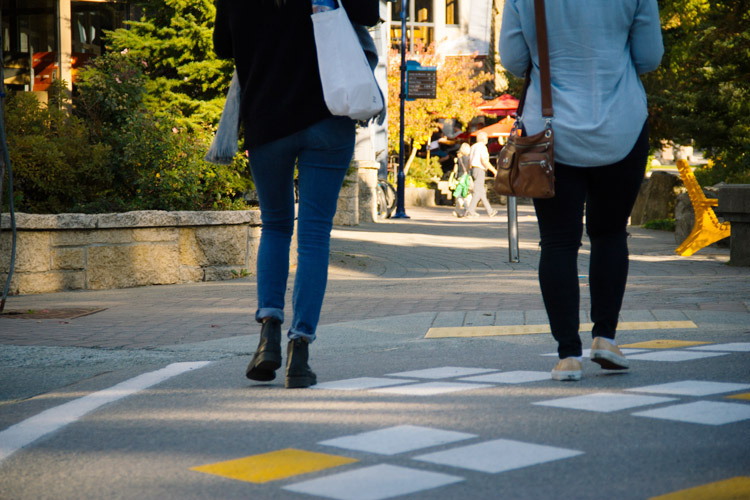 This is one of 55 public art pieces that are spread all over Whistler, and another gentle reminder to slow down so you can find and enjoy each piece. I sit on the bench and take in the basalt columns that line the gentle gurgle of the creek, I spot a young boy playing with the interactive Sightlines art works placed along the bridge, and notice the glass snowflakes that are embedded in the concrete – a little pop of colour in an unexpected place. Inside the Arts Centre it’s a treasure trove of local art. In the lobby their gift shop houses a wide range of artisans, from potters to painters and jewelry designers to basket weavers. Up the stairs is The Gallery which holds regular exhibitions showcasing local artists of all genres from the Sea to Sky. The theatre door is closed but I can hear the sounds of a band practicing as I sit in the leather arm chairs by the fireplace and admire the artwork surrounding me. Stop by the front desk and ask for the latest Arts Scene brochure, this is a guide to all things arts and culture in the Sea to Sky. Last year I took a pyrography (wood burning) workshop and I wonder what I should try my hand at next – maybe some macramé, fabric dying, or lantern making? There’s so much to choose from. Heading out the doors I take a left and head towards the Whistler Public Library. I get there by heading through Florence Petersen Park. If you look closely at some of the trees they bear the notches of springboards, which was the method used to trim down the trees upper branches by loggers. Florence Petersen was one of the founders of the Whistler Museum & Archives Society so it’s apt that this park, which leads to both the museum and the library has been named after her. The library is a work of art itself, a modern mix of hemlock and stone. People looking for a quiet place to read, research, or revise have several spaces to choose from with windows overlooking the park, and little ones have their own designated area called “The Nook”. 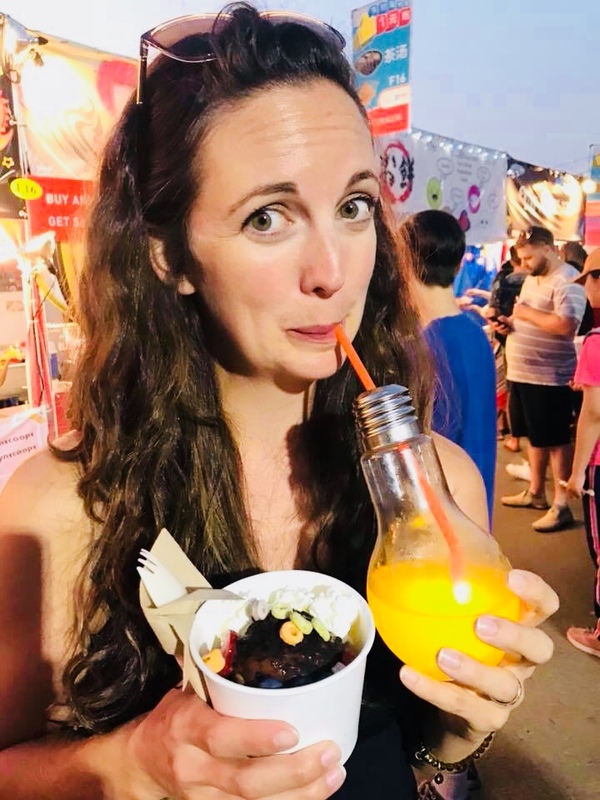 It’s definitely worth checking out their events schedule as they have speakers, movies, tech and book clubs, plus a whole host of family and children based activities. Just outside is the Whistler Museum. 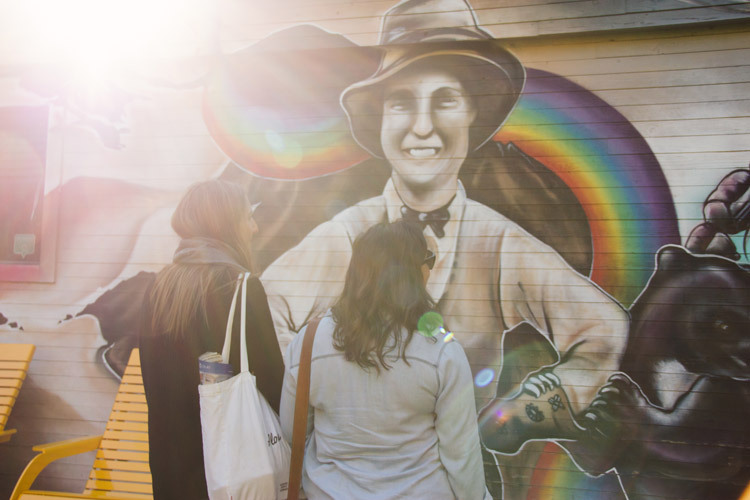 A striking mural is painted on the side of the building by street artist, Kris Kupsky. To find out about the figures and locations featured in it, all you have to do is take a look inside. 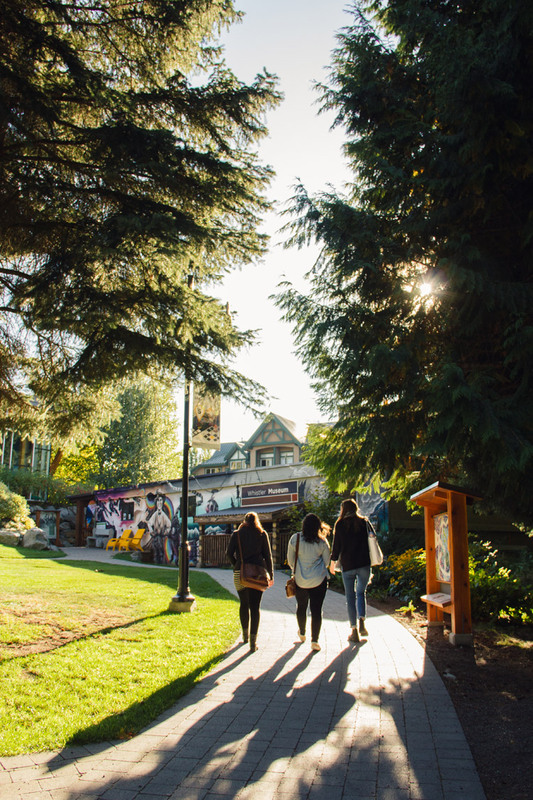 The museum is an optical illusion – although small, it’s packed with displays outlining Whistler’s key moments, natural history, and a few little secrets. This is also where you can find out how Whistler Village transformed from a trash site to an official Host Mountain Resort for the 2010 Games. As I wonder around the exhibit I realize how much I still have to learn about the place I’ve called home for the last ten years, and how exciting it is that we keep adding to our exciting, international, creative, crazy culture. 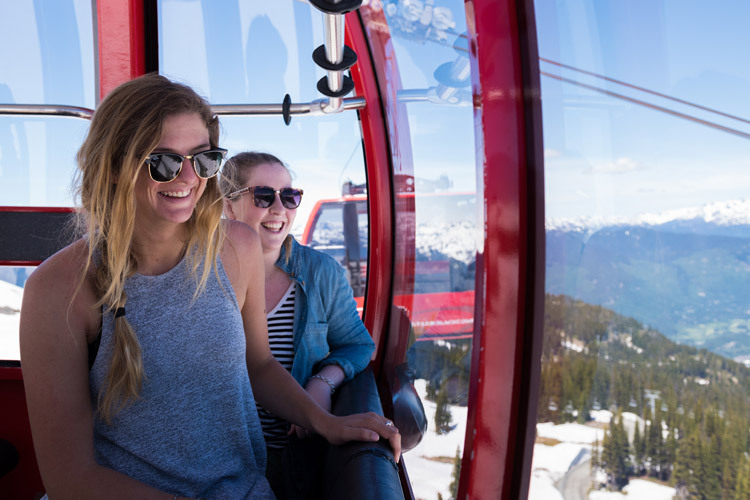 The Cultural Connector is one of many arts-filled experiences you can have in Whistler. 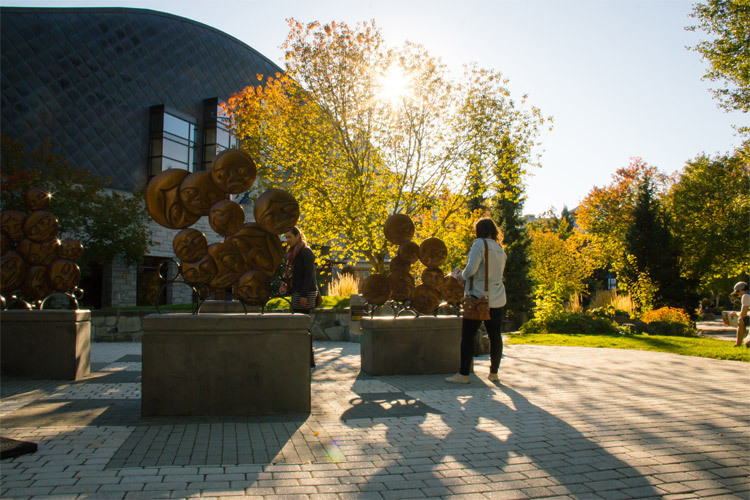 For more pathways to the arts take a look at the Arts Whistler website where you’ll find suggested itineraries to jump start your own cultural exploration. You can learn more about the Cultural Connector project at the Resort Municipality of Whistler website and for all your arts and culture getaway needs Whistler.com is the place to go.